You may also have noticed a couple of new badges on the upper sidebars of my blog. 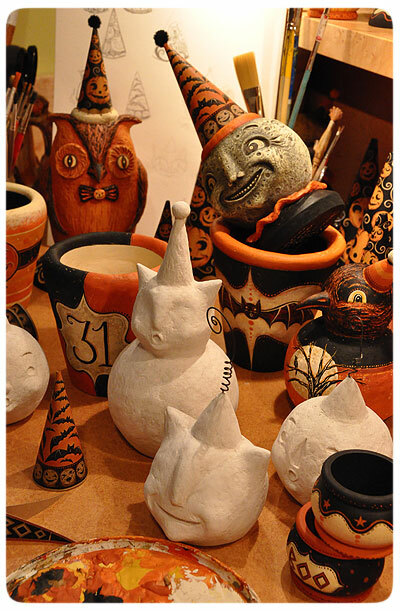 At right, I created a graphic and link to Denver's 4th Annual Halloween Trunk Show. Some of these originals will be offered at this fun event! Click on the badge to visit a collage of images from last year's show along with the date and time details. I hope many of my local collector friends will join us!